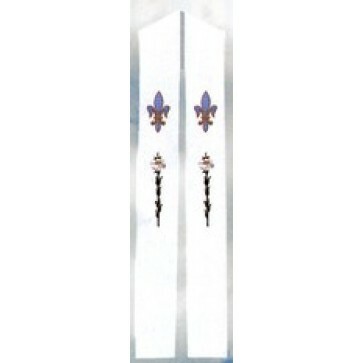 This beautifully raised multicolor Swiss Schiffli stole is embroidered with a Lily - symbol of resurrection and new life. 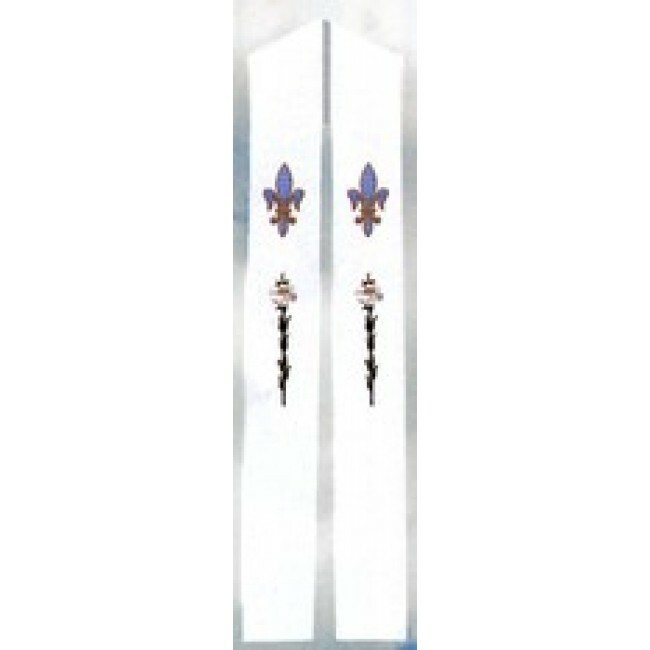 The stole must be worn by the clergy when they administer any sacrament or exercise their order during any liturgical function. This stole is lined and interlined texturized Fortrel Polyester and each design is available only in Pure White.